Today is the 205th anniversary of the beginning of Mexico’s war of independence from Spain. 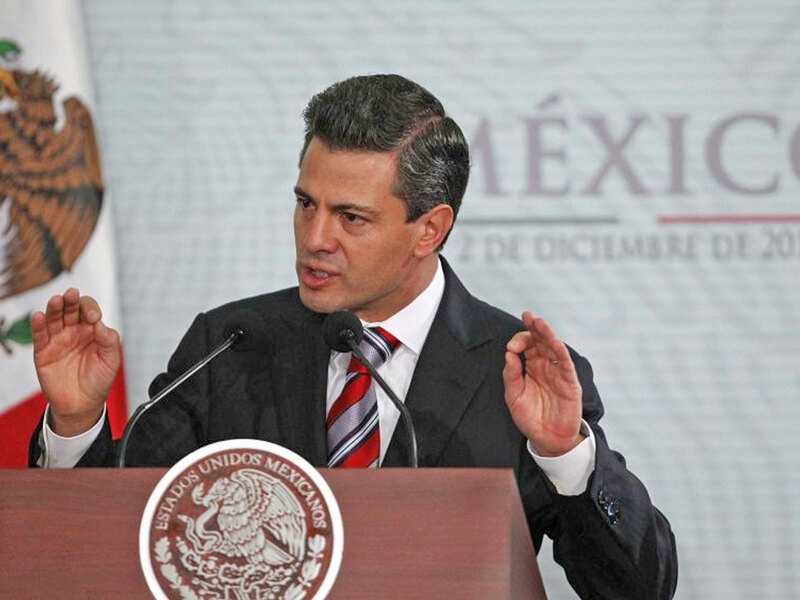 I thought I would drop Mexico’s president a note to send my best wishes on the anniversary and also take advantage of the opportunity to find out who President Peña Nieto likes in our upcoming presidential election. I’ve got a feeling it’s not Trump, given his rather salty remarks about our neighbors to the south. I wanted to send you a letter to wish you and all of Mexico well today, the 16th of September, on the anniversary of the independence of the Republic of Mexico. I lived for one year in the esteemed metropolitan city of Guasave, Sinaloa when I was a junior in high school – similar to the year you spent at Denis Hall Junior High in Maine. I love Mexico and the Mexican people. I would be interested to know which 2016 candidate for president in the United States you feel is the best. P.S. I also studied at Tec de Monterrey (for one semester), but I was at the Mazatlan campus, which I don’t believe is at the same level as the Monterrey campus where you studied, but it was still an amazing experience. 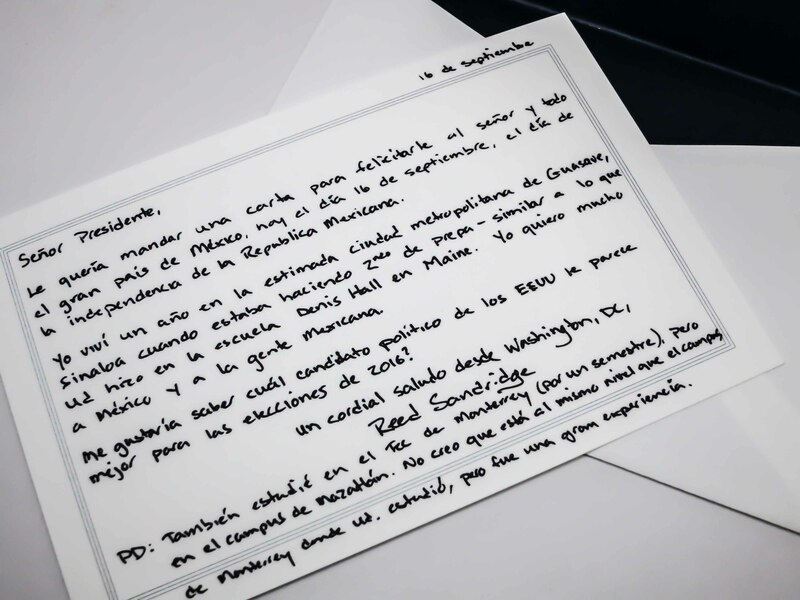 This entry was posted in Congratulations and tagged Crane & Co., elections, Enrique Pena Nieto, handwritten letters, international, Mexico, Pena Nieto, politics, Year of Letters. Bookmark the permalink.